Oil and Gas exploration continue all over the world and as more hydrocarbon sources are found the demand for pipelines to transport oil and gas increase. However, pipeline operators are under severe financial and social pressure to avoid incidents that cause crude oil and natural gas leaks. With regulators scrutinizing pipeline projects, the reputation of the entire industry is at risk. This is why pipeline integrity must become the focus of discussion. Prevention activities and solutions seek to avoid gas leaks from happening in the first place through proper design, construction, operation, maintenance, training, and education. Detection activities and solutions help pipeline operators quickly identify that a leak has happened. Mitigation activities and solutions minimize the extent or impact of the leak and the damage that results. With leak prevention being of the utmost importance, the three phase process is understandable. As with most catastrophes, the best defense is a proactive offense. The good news is that the technology and tools needed to anticipate potential threats to pipelines and identify anomalies are available today. The age-old expression, “an ounce of prevention is worth a pound of cure” holds true for pipeline integrity: the costs that come with preventing a leak are much less than the costs of cleanup, fines, and other civil liabilities – not to mention the cost of a company’s reputation. No two pipeline routes are the same, which is why gas leak prevention starts with specifying the technical requirements for each one. Advances in construction practices, such as more sophisticated testing prior to the pipeline’s fruition, and increasingly protective technology further safeguard pipelines vulnerability. While it may seem like common sense to avoid areas that are susceptible to natural disasters and other geo-hazards, history has proven that one small mistake or lack of consideration of this detail plays a large hand in events that can lead to pipeline explosions. Critical to pipeline integrity, the geography of the terrain surrounding the pipeline must be evaluated, whether it be by topographical and geological maps, satellite imagery, aerial photography, and surveys available in the public domain, all are suitable methods. In addition to natural disasters like landslides and earthquakes, soft soils like swamps and bogs as well as underground cavities like coal mines and caves should also be of concern. In addition to thorough terrain assessment, implementing equipment that is correctly sized is crucial. The pump or compressor must be sized correctly – a steady state pipeline simulation tool can validate the specified size of the pump or compressor through a computational model of the pipeline’s operating conditions. This simulation can also ensure that it is hydraulically feasible for the pipeline as designed to cross the terrain. Lastly, but certainly not least, surge suppression equipment must also be sized correctly. A transient pipeline simulation tool can model the pipeline hydraulics to determine the design criteria for the surge suppression equipment. Surge effects like water hammer can severely damage a pipeline, thus causing hundreds of thousands of dollars in repair. Operating a pipeline is like flying a plane – training should be required. Just like a pilot is in control of a flight, pipeline controllers are in charge of operating very expensive pipeline assets and should be required to have training or even certification. Teaching operators what to look for in a gas leak is an important step in prevention. In addition to operators, education among residents living along the pipeline can also help avoid problems. Operators and civilians alike can benefit from the various tools that are becoming increasingly available. Computer-based simulators can help improve operational safety and meet regulatory requirements. Enabling the most realistic training experience is essential in making sure the pipeline controller is exposed to both normal operating conditions and abnormal operating conditions. As mentioned earlier in this article, the activities and solutions associated with the detection of commodity releases is also an important part of Pipeline Integrity. There are potentially many ways of detecting a pipeline leak, however in general these detection methodologies can broadly be divided in two approaches: External and Internal. External-based gas pipeline leak detection has been a method since pipelines were first used to transport fluids of all types. It involves surveying the external surroundings of the pipeline to detect any releases on the outside of the wall of the pipeline. External-based systems continue to rise in popularity due to their ability to detect even the smallest of leaks and locate gas leaks with a high degree of accuracy. Internal-based gas pipeline leak detection systems look at conditions inside the pipeline to discover gas leaks, typically based on measurement readings at specific locations along the pipeline. 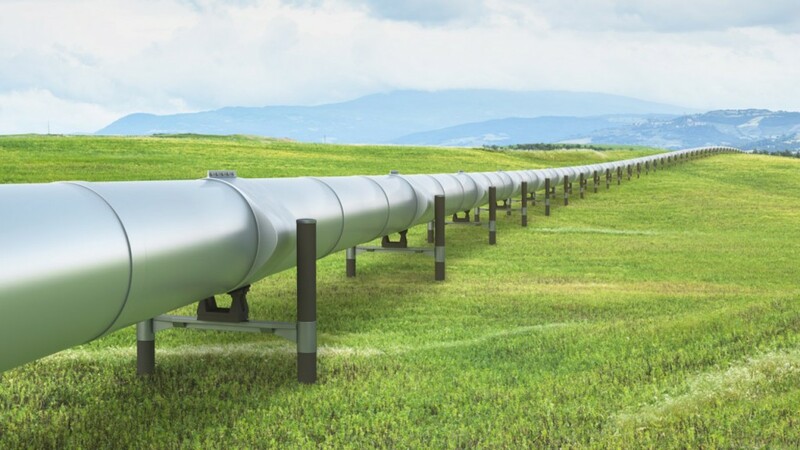 More commonly known as Computational Pipeline Monitoring (CPM), this methodology has been around for only about 30 years and uses software that takes a variety of measurements available on the pipeline to establish what is happening within the pipeline. Each pipeline is unique and requires a different combination of methodologies. It’s important to remember that no two pipelines are the same and that the specific detection methodologies used for one pipeline may not be useful for another. For example, a pipeline company operating pipelines in remote areas could rely solely on internal based systems, while a pipeline company operating pipelines in what is classified as High Consequence Areas (HCA) could have both external and internal-based systems installed for the same pipeline. All detection methodologies, whether external or internal, has pros and cons, and it is important to take into account a lot of factors prior to selecting the detection methodology, including length, elevation, HCA, environment, cost etc. From a business standpoint, gas leaks can be incredibly costly. For example, the company could be out tens to hundreds of thousands of dollars in lost product if there is a moderate or even a minor leak. It may have little environmental impact, but it will be costly if it goes undetected for a few days. While gas Pipeline Integrity can seem daunting, it is not something to be feared if proper steps of precaution are taken. Implementing a tiered methodology for Pipeline Integrity significantly improves a business’ chances of firstly preventing leaks from appearing in the first place, and secondly improves the probability of detecting leaks, while giving additional benefits in other types of gas applications, this paired with a high level of maintenance provides companies with peace of mind. The main goal of pipeline prevention, detection and mitigation activities and solutions is to avoid detrimental leaks down the road for pipeline operators. By putting effort into the three tiers of pipeline integrity, operators will continue to reap the benefits of gas pipeline prevention, detection and mitigation technology in the future.